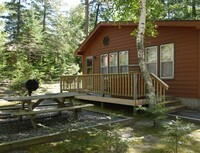 Are you looking for Northwoods seclusion for your annual family vacation? If it could talk, this is the part where the Brainerd Lakes area would say "Why not me?". With untouched natural splendor, thrilling water activities, and unparalleled relaxation, there's no reason why you wouldn't pick this area for your family. While it might not be full of big city charm, dazzling you with bright lights and attractions at every turn, you and your family will leave wondering how soon you can return. Experience all that the Brainerd Lakes area has to offer at Kavanaugh's, a Minnesota resort that values the family experience over all else. Through their warm hospitality, lavish dwellings, and beautiful scenery, your family will feel right at home. Like most family resorts, variety is the spice of life at Kavanaugh’s. Golf, boating, biking, fishing, antique shopping, and snowmobiling are not only options but pleasures. Open year round, most of these activities are as much fun in winter as they are in summer. 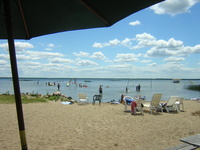 Glorious Gull Lake stretches along the shoreline, inviting you and your family to untold hours of wet and wild fun. Of course, the immaculately manicured rooms are full of modern decor and deluxe comforts. What comes to mind when you hear the words “Pine” and “Terrace”? For most, rustic luxury is what immediately springs into their head. The words evoke a casual elegance and old-world modernism, a sentiment that is personified at Pine Terrace Resort. You and your family will be loathe to leave. Your family will be beleaguered by the multitudes of enticing activities for one or for everyone. From boating out to fish for largemouth bass, northern pike, sunfish, and crappies, to hiking along the neighboring trails, your family will be so tired at the end of the day that you’ll barely notice the amazing luxury cabins you’re staying in. Come to Star Lake, and Pine Terrace will make you feel like the star of the lake! The resort itself occupies more than 36 acres of glorious woodland habitat! 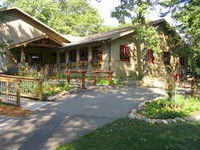 Since 1945 Bay View Lodge has provided a wonderful retreat for families from all over the midwest. There's a reason that a large percentage of their guests are repeat customers! Fishing, golfing, shopping, hiking, nature-watching, skiing... the fun activities available at Bay View reads like a grocery list of awesomeness. You'll spend a huge portion of your time out on the lake, swimming, boating, and fishing to your hearts content. Accommodations are homey and spacious, perfect for any size of family. When you aren't relaxing in its warm embrace, spend an afternoon in Crosslake, window shopping and having a merry old time. Make sure you stop in at Crosslakes' legendary ice cream parlor! There are 14 lakes in the Whitefish Chain. The Brainerd Lakes are chock full of quality resorts, and this list only exemplifies what a great region this is for family travel. From its placement at the number two spot on our list, you know that Gull Four Seasons is no exception. Whether your family craves seclusion or simply wants to nurture their inner angler, the Four Seasons can help them fulfill their mission. Does your family never run out of energy? Do they love swimming? Four Seasons has you in mind. In addition to the natural splendor of Gull Lake, you can go swimming at the huge on-site indoor swimming pool facility. Including a pool, kiddie pool, whirlpool, and sauna, it's the perfect place to go if the weather is less-than-ideal. If it IS ideal, however, step outside to the incredible patio and work on your tan while the kids swim in the outdoor swimming pool or experience the crystal clear waters of the lake. Brainerd is known for the Brainerd International Raceway, which hosts races throughout the year and has a national drag racing meet annually in August. The state record for Walleye is 17 pounds, 8 ounces. Known far and wide as one of the finest resort properties on Gull Lake, Quarterdeck is an incredible place to spend a weekend. Grab the family and come show them how Quarterdeck got its reputation in the first place! From its intense hospitality to its spacious accommodations, there's little your family WON'T love here. In Gull Lake's waters you'll find boundless enjoyment via the 10,000 acres of water sports playground with miles and miles of shoreline to explore. Make sure you check out the sandbar for fantastic sunbathing! Meanwhile, parents will love the newly refurbished 12 lakeside Lodge Suites, new terraced landscaping, and the new 96 slip dock system! Quarterdeck may have "quarter" in the name, but you'll have all the fun! The resort is less than a mile from winter sports at Ski Gull and 10 miles from downtown Nisswa. There are also basketball and tennis courts, plus hiking and snowmobiling trails. Agate Lake Resort is the family owned and operated destination of choice for families from all over the midwest! Open year round, Agate Lake shines in every season! Their rustic Nisswa location gives them serene tranquility aplenty, while remaining right in the middle of some of the state’s finest golfing and fishing destinations. On warm summer days you'll want to spend most of your time out on the clear, sandy beach, shallow for even the smallest of swimmers. Cast off the dock or rent a boat for some stupendous lake fishing, or head into town for restaurants, golf courses, shopping and other activities – something’s always happening in Nisswa and at Agate Lake Resort! The resort is 12 miles north from Isle, 21.1 miles from Garrison and 29.9 miles from Grand Casino Mille Lacs. There's a fire pit, plus a sandy beach and a kids' playground. Come to the Good Ol’ Days Resort in the Brainerd Lakes area to create unforgettable memories with the whole family! Good Ol’ Days Resort is located on Lower Cullen Lake, the largest of the three lakes on the Cullen Lake chain, with 400 acres of crystal clear water. They provide pontoons and motor rentals, a swim raft, and a central dock system for fishing and convenient boat mooring. Your family will never go without something to do at the resort, with lawn swings, a playground area, and a basketball and volleyball court on site. Enjoy access to their Wilderness Resort amenities clubhouse by swimming in the pool, playing in the game room, and breaking a sweat in the fitness room. There is also a wide variety of activities to try in the Brainerd Lakes area. Shop the eccentric stores of downtown Nisswa, hike the Paul Bunyan Trail, or try Pirate’s Cove Adventure Golf for a one-of-a-kind mini golf experience. This Minnesota resort will bring your family closer together, make your reservation today! Make sure to plan your trip during peak season for a chance to participate in organized activities like minnow races, worm races and even an ice cream social. 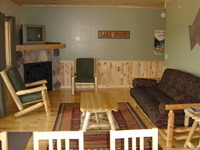 The resort was completely renovated in 2006 and boasts 10 new cottages and an eight-unit lodge. Canoeing, kayaking, sailing, paddleboarding... A stay at Shady Hollow Resort and Campground is filled with fun from start to finish! Other amenities include a game room, guest laundry, and a convenience store selling ice cream and fishing bait. Since 1898, families have been flocking to Ruttger’s Bay Lodge for frivolity and the unmistakable aroma of freshly-made memories. With a potent blend of golfing, fishing, and pampering available, your family will be as busy or as unburdened as they choose. After all, isn't a vacation mostly about choice? If you’re looking for a real Minnesota cabin vacation, they don't get much more authentic than at Ruttger's. The shores of flawless Bay Lake are a paradise of family fun and relaxation. Choose from 27 holes of golf, a luxurious spa, and Bay Lake itself present a diverse and exciting mix of potential activities for you and your family to immerse yourselves in. Spend time together or get some alone time; again, it’s all about choice. Make Ruttger’s your summer destination; your family will thank you for it. Crappie, walleye, bass, muskie, and rainbow trout are available in the area for your fishing pleasure. Situated between private Lost Lake and the Upper Gull Lake chain in Minnesota's Northwoods, Lost Lake Lodge is an unforgettable Brainerd escape for the whole family. For 70 years, Lost Lake Lodge has been offering guests exceptional dining and quiet serenity amidst 80 acres of woods, water, and wildlife. The lodge’s cabins and cottages range from one to four bedrooms, making them perfect for any size family. Family fun never runs out at Lost Lake Lodge. This exciting Minnesota destination welcomes you and your loved ones to reconnect in a relaxing lakeside setting. The kids will love building sandcastles on the beach or spending an afternoon swimming in the shallow end of the lake. For even more fun, you can rent a boat for a day of fishing. Family-friendly activities also extend to hiking trips, an onsite playground, and outdoor games like basketball and horseshoes. Top off your day with a relaxing campfire on the beach! Downtown Nisswa is the perfect spot for an afternoon of leisure! Start your morning with a cup of Joe from StoneHouse Coffee & Roastery--make sure to try their delicious scones! Do some shopping at various gift shops and boutiques then grab a sandwich and a beer at Big Axe Brewing Company! Lost Lake Lodge's on-site restaurant offers gourmet dinners and hearty breakfasts to keep you and your family satisfied throughout your stay. Between Sullivan's superb accommodations and impeccable hospitality, it's easy to lose track of time! 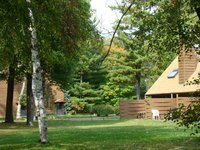 Located in scenic Brainerd, Sullivan's Resort's nine two-bedroom deluxe cabins, one three-bedroom, and huge Retreat Home are the perfect place for you and your family on your next vacation! Brainerd is chock full of things to do and see for families of all sizes, but perhaps the best way to spend your time is on the lake! Take a boat out for some fishing, cannonball off the dock, or just catch a tan on the shore- when you return you'll have Sullivan's bevy of amenities and cozy cabins to look awaiting you! The resort lies 13.1 miles from downtown Brainerd. 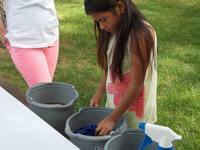 Guest laundry and a fish cleaning station are also available. Families from all over the midwest flock to Niemeyer's Rugged River Resort for all sorts of reasons- come and find yours! Show your family the joys of fishing at Niemeyer’s Rugged River Resort! Flanked by the majestic Brainerd Lakes area, head out on the water for a chance at some Northern Pike and Walleye. The lodge's mile of undeveloped shoreline makes for a beautiful setting for just about any activity, from water fun to a nap on the sand. What's more, Niemeyer's Rugged River Resort is only a few minutes away from Brainerd, where you can shop, eat, and experience small town charm to your heart's content! The resort is 9.3 miles from Brainerd Lakes Regional Airport. Other amenities include a playground, boat launch, fishing dock, shuffleboard court and hiking trails. Resting along the eastern shore of Upper Cullen Lake awaits the Upper Cullen Resort, the perfect place for your Minnesota lake vacation. Bring together your loved ones for a memorable Minnesota vacation by the lake. This charming destination is surrounded by lush wooded landscapes and the tranquil wonders of the Cullen chain of lakes. You can spend quality time teaching the kids how to fish, swimming all day long, or exploring the attractions in the nearby Brainerd Lakes area. Private campfire rings let you enjoy fun cookouts to wrap up the day! An on-site game room is perfect for an unexpected rainy day. The lake is abundant with northern pike, bass, sunfish, crappie, limited walleye and much more. What are you waiting for? Take out a boat and cast your line! Minnesota is also known for its excellent golf courses. Ask the friendly Galles' Upper Cullen Resort staff to help you find a golf course in the area that will best fit your needs. Pack up your clubs and get ready to tee off! Experience a lavish lakefront vacation with your family at Wilderness Point Resort in the Brainerd Lakes area. Situated on Middle Cullen Lake, a 450-acre superbly secluded body of water in Pequot Lakes, Wilderness Resort Villas offers both indoor and outdoor fun for the whole family. Whether you're interested in renting a cabin or a luxury villa, a stay at the resort begins and ends with comfort. Your accommodation choices range from one-bedroom cabins to a luxury five-bedroom villa, perfect for even the largest families. The newly constructed villas are nestled in a wooded site with mature trees and contain a pool table, a flat screen television, a porch/deck, and more! Kid's will love the game room, located in the lodge, and swimming in the indoor pool. 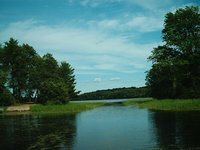 The Brainerd Lakes area offers a vast amount of outdoor activities for all ages including fishing, boating, and swimming. Book your stay at Wilderness Point Resort today and escape to the wilderness. Middle Cullen Lake is stocked with walleye, but that's not the only species you'll reel in. Largemouth bass, northern pike and bluegill will make a great meal for your entire group! With eight courses located within 15 minutes of the resort and eight more within 30 minutes, there is golf nearby for every level of player. While golf, spas, and romantic walks on the beach might be more catered to newlyweds, the historic Grand View Lodge on Gull Lake has a fanatical devotion to providing quality family vacations as well. Yes, there are two championship golf courses on the property. Yes, the rejuvenating Glacial Waters Spa has been pampering guests for eons. And while your children will appreciate these thing when they’re older, right now they just want to have some good clean FUN. Not to worry: this has been Grand View’s mission since 1916. Waterskiing, horseback riding, and paddleboard yoga (maybe not) will all entice and enrapture younger minds. 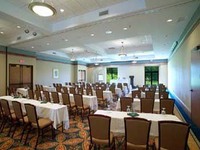 Rooms can accommodate all sizes and tastes. Grand View succinctly puts it, “Whatever you are looking for in a Minnesota resort vacation, we have the lodging just right for you”. Families will find a host of lake activities at Black Pine Beach Resort, where fishing, boating, and general relaxation are in full supply. Deluxe lake cottages give guests direct access to the Whitefish Chain of Lakes, where a wealth of water activities are always at their fingertips! Set on the sparkling shores of Little Whitefish Lake, your family will have immediate access to aquatic adventures. Whether you're casting off on a fishing expedition or exploring the waters on a boat ride, you're sure to fall in love with the crystal blue water. Overlooking more than 230 acres of water, Little Whitefish Lake opens up into 13 other Whitefish Chain lakes. If you'd prefer to stay dry, hike through the lush Minnesota wilderness. After a fun-filled day, return to any of the 13 deluxe cabins and kick up your feet. Accommodating anywhere from six to 16 guests, you can bring the entire family. All cabins include decks, picnic tables, satellite television, and breathtaking views of the water. Life is better on the lake! With 400 feet of warm, sandy beach on the popular Whitefish Chain of lakes, sandcastle builders and beach loungers can enjoy what they love best about a northern Minnesota vacation. Cribs and high chairs are provided at no extra charge for your tiniest family members. Stunning forests and the calm cool waters of Fish Trap Lake welcome all families to the Campfire Bay Resort. They have two, three, and four bedroom cabins, perfect for almost any sized family. The cabins have amenities like air conditioning, full kitchen to easily prepare all meals, decks, comfy outdoor furniture, and a community bonfire pit. Your family will love the clean shoreline and the abundant water sports. Rent a pontoon from the resort and set out your own private family adventure. Your kids will enjoy the extensive list of on-site activities that include painting, jewelry making, nature trips, and an ice cream social. With something for everyone, Campfire Bay Resort has a rustic charm that will leave unforgettable memories for you and your family. Outside the resort, you will find activities like golf at Pine Ridge Golf Club, horseback riding at two local ranches, local niche shopping locations, and the Pine Grove Zoo. There is an on-site spa program that features a licensed massage therapist. Contact the resort to check availability and to schedule you massage, manicure or pedicure. For the family constantly on the move, Madden’s is the perfect place to slow down your hectic lives and simply relax. Hit the lake for some watersports or waltz into the spa for a day of primping; if you want to spend a weekend worrying about nothing but what you’re eating for dinner, Madden's is the place for you. "Do it all, or do nothing" -Words that Madden’s (and, by extension, their guests) lives by. Madden's famous golf courses, delicious restaurants, and pristine sand beaches are only some of the options at your fingertips. While the kids are having a blast on the lake, head over to The Spa at Madden's for unparalleled relaxation. With a stunning lake view and relaxing plantation-style architecture just a few feet from Gull Lake, The Spa at Madden's will make you melt into a content pile of ooze. Try out a rejuvenating pedicure, or feeling your stress melt away with a hot stone massage. Either way, you're going to be reminiscing about it for years to come (or until you go back). There are over 35 species of aquatic life in the water of Gull Lake! Of the seven Gull Lakes in Minnesota, this Gull Lake is the largest in area and shoreline. You’re on vacation. The kids are off doing who-knows-what, but they’re undoubtedly having a good time. So what do you do? Simple: grab your clubs and hit the links! Not only is Cragun’s Resort and Hotel the perfect place for the entire family, but it’s the perfect place for playing the gentlemen’s game to your heart's content. Cragun’s Resort and Hotel has been the premiere Brainerd Lakes golf resort for almost 80 years. Combining towering trees, verdant green fairways and a spectacular location adjacent to Gull Lake, the courses are a treat for the senses as much as for the playing. Of course, this is a family vacation, and odds are your entire family isn't going to be as enamored with golf as you are. Visit the marina on Gull Lake and try out boating, water skiing, fishing, swimming, and more. When you’re done, return to your comfy room or cabin and relax in unparalleled splendor. Cargun's offers 54 holes of golf on nearly 15,000 yards of beautiful Northern scenery. If you feel the need for ski, the Brainerd Lakes Ski Area is only eight miles away. In the end, what is a family vacation about? It’s about becoming a more tight-knit community. You share experiences, laughs, and memories that can last a lifetime. Train Bell Resort knows this and invites your family to make those memories with them. To no one’s surprise, the Lodge is located on a lake, this time the beautiful North Long Lake. Known for its fabulous fishing and crystal clear water, it’s the perfect place for the kids to swim and you to relax on the sugar sand beach. A multitude of habitations are available: lakeshore cabins, condos, villas, and even a grand lodge will accommodate parties of all sizes, and come stocked with cozy decor and modern amenities. If you want some undisturbed family time, rent a pontoon for a fun day on the water, a day in which your family will have no choice but to get along. That’s another part of a family vacation: forcing them to be with each other. A vintage tourist train offers trips around the property's grounds! The resort is only 10.2 miles from Brainerd Lakes Regional Airport. 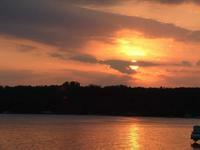 Gull Lake Resort is a central point for lakeside fun and acres of wooded Minnesota beauty. The full 53 acres at Gull Lake Resort include 3,000 feet of glorious lake shore; the rest is natural woodland with plenty of room to roam. This is your center for family fun, with a designated swimming beach and slide, plus nearly two dozen golf courses in the immediate area. Rent a boat and spend the day fishing Gull Lake's ample waters! Nearby, you'll have access to plenty of dining opportunities, sailing, horseback riding, and a Federal dam with Indian Burial grounds! With plenty of cabin options to choose from, from one to three bedrooms, there is something for everyone at Gull Lake Resort! 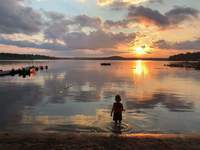 Gull Lake Resort is the classic "Great North Woods" family getaway. You'll find all the necessary amenities: safe, roped-off swimming beach, water slide, and a huge variety of rental boats and water toys. Whether you're casting from the dock or from your boat, Gull Lake creates the perfect fishing experience for you! Walleye, crappies, sunfish, northern, and bass are all plentiful in the lake, especially during May, June, and September!